A view of Campion Ale from the outside. Once you see the orange tree, you know you are in the right place. 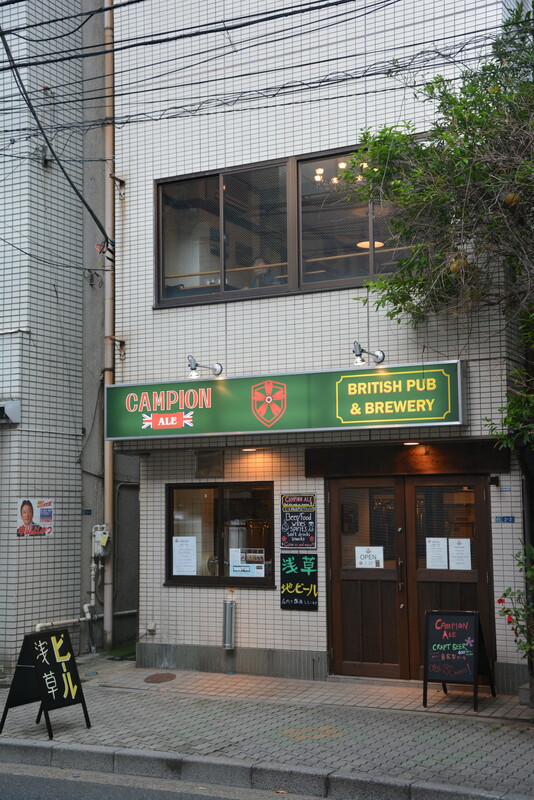 Campion Ale, located three minutes from Tawaramachi on the Ginza line, one stop before Asakusa, is an example of a new breed of brewpubs opening up across Tokyo. These brewpubs make and serve their own beer on the premises, allowing thirsty drinkers to see the whole process of milling the malt through brewing and fermentation, right up to serving the beer. Campion Ale is spread across two floors, with the first floor consisting of the main brewing area and a small drinking area, whilst upstairs on the second floor is much larger and filled up with traditional British pub seating, imported from the UK. On top of this, Campion Ale is all non-smoking, so those smokers among the readers will have to go outside. This extends to the beer which is very much in the British style and with 5 taps, there are usually 5 different beers on tap. On the day we went, there were five very different beers on tap; a cherry ale, a red ale, a porter, an IPA, and a wheat and rye ale. Prices and sizes varied, from half a UK pint (268ml) for ¥600, a two-thirds UK pint (379ml) for ¥750, and a UK pint (568ml) for ¥1050. On top of this, Campion Ale operates a stamp card system where one drink gives you one stamp, and eight stamps gives you a free drink, starting from a half pint for 8 stamps, up to 24 stamps for a free pint, a good way to create a customer base. 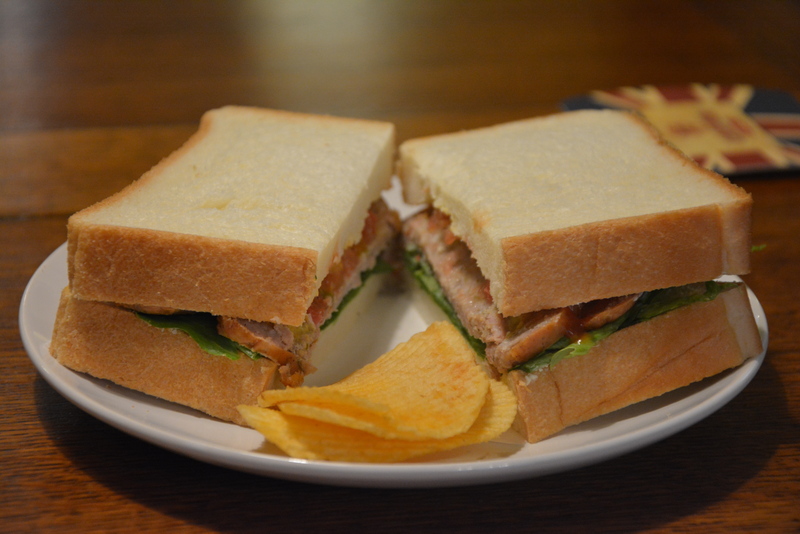 A tasty English sausage sandwich. Food wise, the menu is a bit sparse, with the two main dishes being a sausage sandwich, made from English sausages, that comes with some crisps for ¥600, and a beef or a chicken pie, that comes with salad, for ¥1000. The sausage sandwich was good but needed some brown sauce, plus the option for cold or hot. Campion Ale also sells one of the best snacks foods ever: The Scotch Egg at ¥500 for one. Unfortunately, BeerTengoku forgot to try one due to beer and timing but we did see one and it did look very tasty. 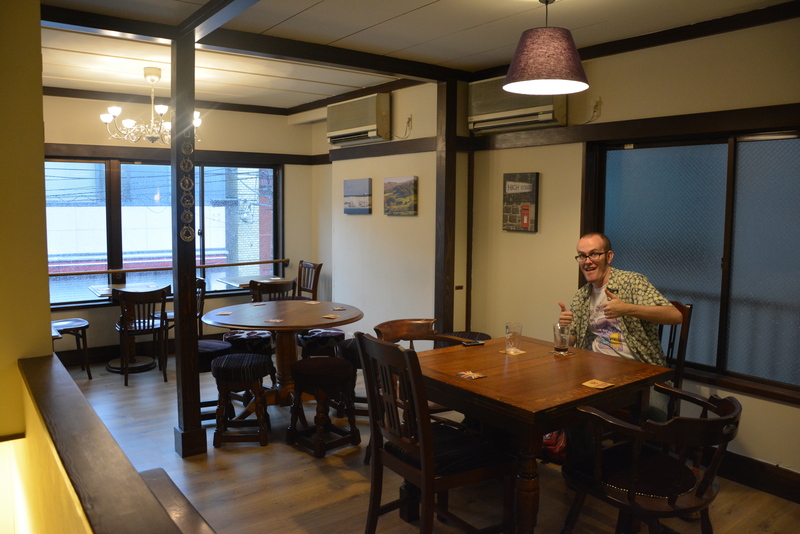 Campion Ale has bravely started out a new adventure in Japan in terms of a small, independent brewpub and from what we tasted, produced some interesting beers. Whilst out-of-the-way from the usual hangouts of Shibuya, Shinagawa, and Kanda, it is close enough to try out once in a while. How To Get To Campion Ale.